Following Traditional Chinese Medicine, the spring season is associated with the wood element. It's a time for rebirth, new growth, and renewal. With an increase in activity levels, energy, comes an increase in creativity and determination. In the same way we "spring clean" our external environment, Chinese Medicine believes that this time of year we also "spring clean" our internal environment. The organ bodies associated with the wood element are the liver and gallbladder, both play important roles in the digestive system. It's believed that when the wood element is out of balance its manifested as anger, frustration, and irritability whereas when it is in harmony, it's manifested as compassion, kindness, and acceptance. How to practice: Hold postures for a minimum of 3 to 5 minutes. Practice with a slow, natural breath. Move through the postures in order, repeat postures 2-6 on the other side of the body before moving on. 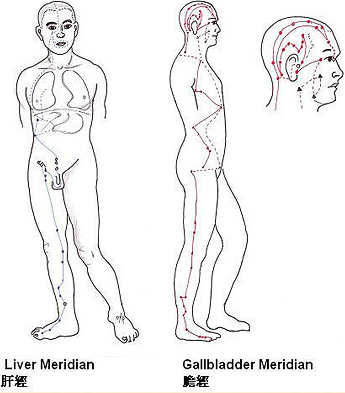 Set an intention of your own, or practice with the intention of physically and/or emotionally balancing the liver and gallbladder meridians as you move through each of the postures, or simply approach this practice as an opportunity to nurture your body and you emotional self. Trace these meridians in your mind as you move through each shape, return to noticing your breath, and of course, periodically return to your intention. Seated on your mat or on a blanket bring soles of the feet together and knees wide. Have soles of the feet a comfortable distance away from the groin and take a forward fold. Keep sits bones rooted down to the mat/blanket. Shoelace: seated on the mat or a blanket, cross right leg over left. Stack the knees on on top of the other, bring left foot towards left hip and right foot towards left hip. Walk hands forward and take a forward fold. Suhkasana/Cross legged pose (not pictured): seated on the mat or blanket cross right shin in front of left. Scoot feet away from hips and walk hands forward, take a forward fold. Sleeping Swan/Pigeon: From Shoelace/Suhkasana keep left leg forward, trail right leg behind you. Left ankle can be close to right hip or scoot toward upper right corner of mat to tolerable ankle for both hips and knees. Left hip can be propped up with blanket(s). Figure 4 (not pictured): Lay on back, cross left ankle over right thigh creating shape of the number 4. Hug legs towards chest keeping head and shoulders relaxed. Place a block or a blanket under head if it cannot comfortably rest on the mat. From Sleeping Swan or Figure 4 place right leg out long at an angle and take the leg foot to right inner thigh. Keeping sits bones rooted forward fold down the middle. From Half Dragonfly right upright, keep legs in same position and side bend to the right taking left arm up overhead and taking right elbow down towards the floor. Place elbows under shoulders, both legs trail out long behind you. Exactly what it sounds like. Lay flat on back, take arms up over head, legs out long, and side bend to the right (like a banana) crossing left ankle over right. Repeat on other side. Take arms wide like a "T," bend knees, hover knees over hips, roll legs over to the right keeping left shoulder heavy towards mat. Repeat on other side. Lay flat on back or in an alternate restorative posture for 7 minutes or longer. Allow body to be still, thoughts to be slow, and breath to be natural. Want to shop this outfit? Bra: LIVELY use code AMB-noellecurren for $10 off a purchase!